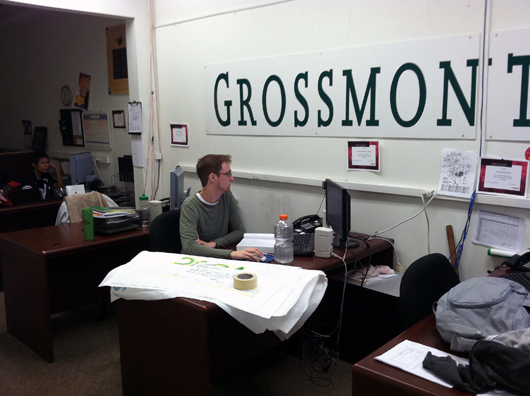 GROSSMONT COLLEGE – What’s in a word? In academia, one word may make a world of difference. For example, what once was known as the Foreign Languages Department now is called the World Languages Department. Yolanda Guerrero, the head of the newly named World Language Department led the proposal for the change. She said that, “The word ‘foreign’ itself has a negative connotation of not belonging.” Making the name change started with a vote among professors from all eight of the language subjects in the World Language department at Grossmont, followed by approval from Dean Steve Baker, other administrators, and the District Board. The process began during the Spring Semester of 2011, “The name change is officially in place this semester,” says Guerrero, although changes have yet to made to such things as the stationary, cards, and signs. Guerrero said that the American Council of Teachers of Foreign Languages is attempting to make the name change at many other colleges and Universities and noted that Cuyamaca College, Southwestern College, and Mesa College has also made the switch. Baker, dean of the arts, humanities, languages and communications, said the name change reflects a wish to “avoid stigma and create inclusiveness” for people who speak languages other than English , a decade after the 9/11 terrorist attacks. He explained that the word “foreigners” frequently has been used in a derogatory way since those attacks. Henceforth, if you study a non-English language at Grossmont, it will be under the auspices of the World Language Department. If you call the department by any other name, that might be considered foreign. GROSSMONT COLLEGE- The diversity of this college’s student population was on display when the annual Fall Festival was celebrated in the Main Quad, Nov. 2-3. 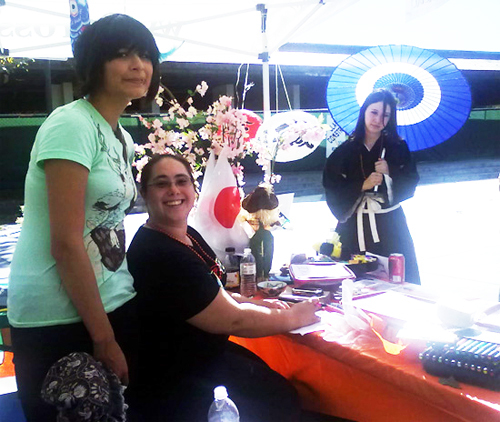 Circle K Club, Grossmont College Art and Design, Muslim Student Association, Challenge Club, Japan Club, Phi Theta Kappa honor society, and the College of St. Isidore were among the clubs and groups which participated in the festival. Circle K Club, sponsored by Kiwanis international, is a collective that encourages college students to contribute to the community by helping with local schools and hospitals, and with the Boy Scouts and Girl Scouts. 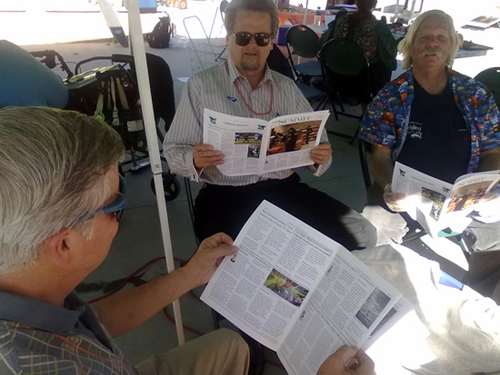 Also, the Circle K Club helps with many other events, such as the Diabetes Walk and the Rock n’ Roll Marathon. Challenge Club is a Christian study group that meets every Tuesday in Room 525 of Building 55 from 12:15 p.m. to 1 p.m. Presently “Crazy Love” is the lesson as students eat lunch.